Hi, I am a qualified EFL teacher with 19 years of teaching experience, living in the UK. I´ve taught teenagers and adults. I am also an exam invigilator. I find sharing my worksheets very fulfilling as they reach thousands of people worldwide. I hope you will find them practical and motivational. They are all fully editable. Thanks for the supportive comments, I really appreciate them! 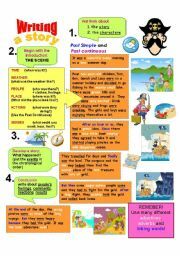 An easy step-by-step process of writing a story with explanations, examples, prompts and the planning process on the next page. The third page contains a blank planning sheet in b&w. Hope you like it, it took me a whole day to make it! Something that every teacher needs to deal with right at the beginning of a school year. 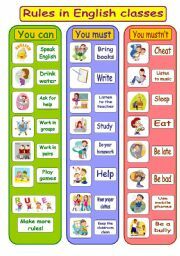 This ´Rules in English classes´ poster for your classroom is simple and eye-catching for your pupils. Hope you like it! Enjoy the new school year. What do shop assistants and customers say to each other in a clothes shop? Everything in one place, on one page, topics organised in groups! Hope you find it useful! Writing a composition - describing a place. 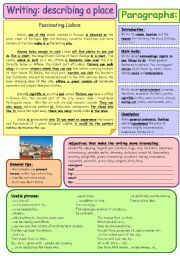 A step-by-step process with an example, simple explanations, useful tips, phrases and adjectives - all on one page. B&W version included. 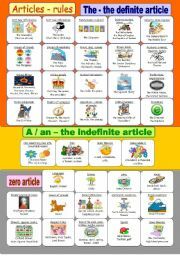 Short and concise rules for the articles with visual stimuli, all on one page. Hope you like it and find it useful! Have a nice beginning of the school year! P.S. If you need an updated version or a B&W version, send me a personal message. 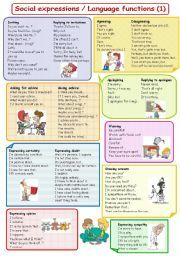 The first set of cards that help students choose some of the provided phrases on the list of useful everyday expressions in different situations. They can cut them out. Have a great week! 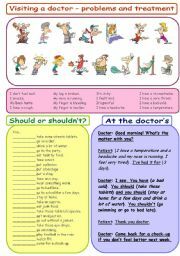 Another writing worksheet: simple, concise and clear guide to writing a letter of complaint with an example letter, example sentences and useful strategies. All on one page. Hope you find it useful! Cheers! A poster on the UK with basic info and symbols. 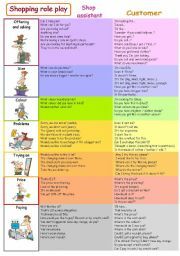 My B&W version created as a worksheet is here: http://www.eslprintables.com/printable.asp?id=395095#thetop. Hope you like it! Cheers!